The previous article in my Rugby Sevens Series focussed on “Optimal Nutritional Strategies for Rugby Sevens” and you can find it here. Now that you have your nutrition and recovery covered for optimal performance we should really look at what kind of training you should be focussing on and how to structure it so that you can actually be a successful sevens player. After all, there’s no point fuelling a high-performance vehicle that drives like a rusty old truck is there? With these points in mind we should now identify what elements of athletic development and fitness we should aim to focus on to best prepare for optimal performance. Now before we begin, sport and exercise science can become pretty complex and lose many readers half way through an article. Thus, the aim of the current article is to avoid getting too complex or science based (as many articles and authors like to do) making it easier to understand and apply to your own training. What are the main elements of fitness that are included in Rugby Sevens? . So we just need to work on all these elements. Easy, right? Wrong. The thing here is that it takes a lot of focused work on each of these elements of fitness to improve each of them. That’s why it’s going to take a well-designed and properly periodised program over the whole year (macrocycle) with specific phases throughout the year (mesocycles) to work on specific targets – e.g. 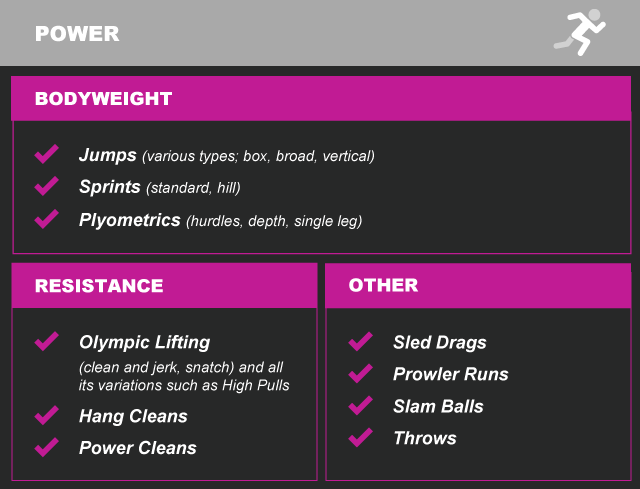 Hypertrophy, Strength, Power, Speed etc. The reality is, you will rarely ever focus solely on only one element and there will always be overlapping elements in any program. The key then is to know which ones to focus on and when. This is called PERIODISATION. This is a whole science in itself and well beyond the scope of the current article. However, if you are unaware of what periodisation is then you should make yourself familiar as it pretty much forms the basis of athletic development. Despite this, this article will aim to explain some of the basic elements required for optimal athletic development in rugby sevens.We’ve listed a few important considerations for athletic performance above but it’s important to go right back to the start and look at how we develop the base model before fine-tuning the training process. So we have identified that SPEED and POWER are essential elements of Sevens. Well if we want to produce as much power and speed as possible then we will need to do a bit of groundwork first. To keep this short and sweet, we will need to focus on building the base model first. 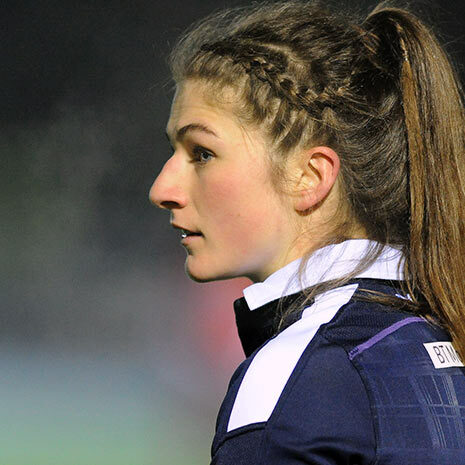 In order to have a great foundation to tweak and fine tune yourself to be a lean mean killing machine on the pitch, you’ll have to build some decent muscle first. Focussing on building muscle in the off season is more suitable as you will have more time to recover. However, you’re not going to focus on building as much muscle as possible in the season as the soreness gained from such training will only be compounded by the stress of training sessions and on top of that games. This will make recovery extremely difficult. This is where periodisation comes into play. Focussing on building muscle in the off season is more suitable as you will have more time to recover. Furthermore, this is usually the time where you would focus on adding as much strength as possible following the hypertrophy phase. 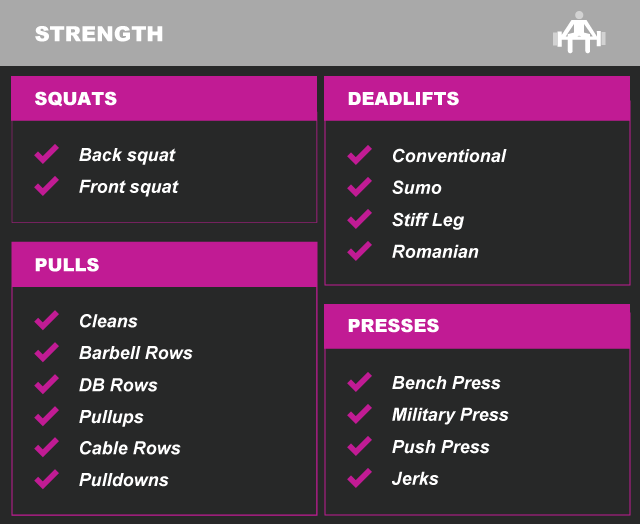 For advice on how to improve your strength, visit our Training section. By laying down as much muscle as possible (muscular hypertrophy) this will provide the necessary tools to increase strength as much as possible. 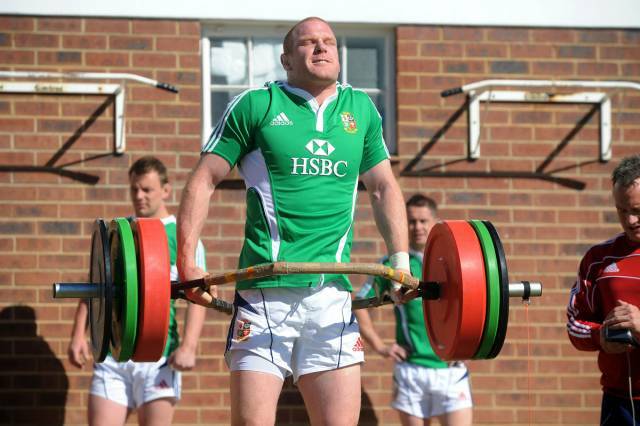 It’s no coincidence that the most powerful rugby players tend to be built like the side of a house. Bigger muscles have a greater capacity to produce force. So if you’re lacking strength, get down to adding some muscle to change that situation. Once you have managed to add some much-needed muscle in the offseason then you can transition to getting STRONG. Try walking into a top level team during a strength phase and you’ll see exactly just how strong these athletes can be. Again, this is a very simple list of exercises but I guarantee if you stick to the big basics and shake off the glitter and sparkles from your training programs you’ll get a hell of a lot further in a shorter space of time than the dudes (or gals) hitting some bicep curls and calf raises…. and that pretty much goes for every athletic based sport, trust me. What’s the difference between strength and power I hear you ask? Well, strength is the ability of a muscle to produce as much force as possible and power is the ability to produce as much of this force in the quickest possible time. If all out strength was all you needed to be powerful then you would see the world’s strongest men or world’s elite powerlifters running 100m like Usain Bolt…but they don’t. So what is it exactly that causes the correlation between increased strength and increased power? Well, a greater amount of muscle mass will produce more force (strength) and when that force can be produced at greater velocities (speed) then the resulting element is power. The equation for power is: Power = Force x Distance / Time. This means that the force produced multiplied by the distance covered divided by the total duration = Power. So basically, the more weight you move quicker,the more power. And the more strength you possess as an athlete, the better equipped you are to move your bodyweight (or another athlete out the way) over a set distance ultimately making you more powerful. If in doubt, get stronger. So now that we understand the correlation between strength and power it makes total sense to build a big strong base to work from to become powerful. Once more, training exclusively for power is a complete article in itself, however, it mainly involves lifting submaximal loads at greater velocities (speeds) for lower repetitions. 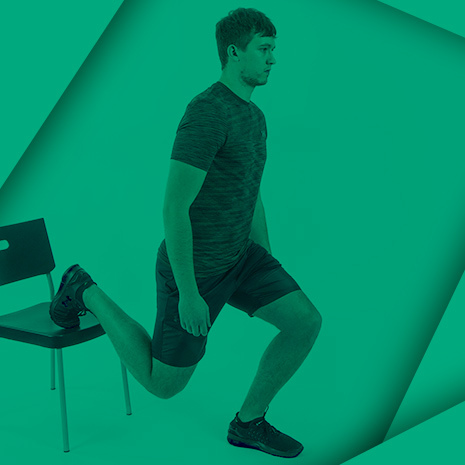 It’s important to include here that power training is possible throughout the season but be cautious when programming because individual differences in recovery must be accounted for in order to program effectively. Better yet, work with a coach to help design your programming to get the most out of it. Further to our discussion of power, we must now analyse SPEED. It’s fair to say that although tactics play a huge role in Rugby Sevens, we need to acknowledge that speed is mainly how Sevens’ games are won or lost. Most points are scored as a result of quick and effective plays with players sharply making breaks. Its ok having all that strength and power but if you can’t rapidly covert it and break away then you’ll end up running into a brick wall (or an opposing player (or 2-3)). How do we become as fast as possible then? Well, the good news is that speed is a direct result of increased power, so as a by-product of training to become as powerful as possible, you then are more able to rapidly convert this into speed. The difficulty then lies in the ability to be SPECIFIC. As per my previous analogy of strong men not running fast, this time, we will use sprinters as an example. Its ok possessing all that speed as a sprinter but if you don’t have the specific skill to convert this speed into useful rugby tactics then you will be hit. Hard. Harder actually because you run faster. However, let’s take someone who has both. Carlin Isles (USA Rugby Sevens) for example. One of the fastest rugby players ever to grace the field. Just watching an athlete like this makes it clear that possessing that all important skill of lethal speed can really come in handy when avoiding tackles and scoring tries. As soon as a player with that speed has the ball in some space, they can pretty much get past anyone. Trust me when I say this, developing your speed (and power for that matter) will always improve your performance. Whether that’s tackling someone and coming out on top, or flying past players and scoring tries, you’ll not be disappointed with more speed/power. 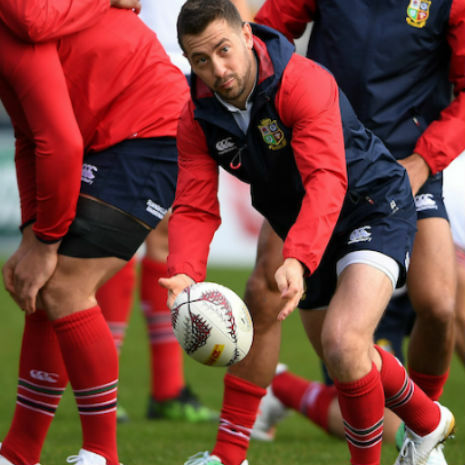 In addition to the details above and the benefits of increased power, we need to consider the fine ability to execute this new found speed with specificity to rugby – and, more specifically, Sevens. All that speed won’t count for a damn thing if you run into other players. So how do we avoid this situation (or the opposition)? Well, it really all comes down to AGILITY. This is the ability to change the bodies position efficiently. Agility is an integration of balance, coordination, speed, reflexes, strength and endurance. Pretty much everything, right? Well, when you’re running at full tilt towards a really big player, you don’t want a hit, so the ability to transition rapidly from one place to another comes in quite handy. When it comes to improving your agility specific to rugby then it’s important to work with the following. That’s a lot of information in a short article. It’s really clear that training specifically for Sevens rugby is not just an open and shut case. It will in fact take weeks, months and years’ worth of training to build up substantial prowess on the rugby field. In saying that, let’s just assume you are of a good level, as you’re most likely a player already if you’re reading this article. A bit of fine tuning to your current training principles may be just what you need to take you to the next level. The best advice that I can give you is to structure your training and recovery effectively. The best advice that I can give you as a take home point is to structure your training and recovery effectively. There are so many gifted athletes that screw up their training programs, nutrition and recovery, which is detrimental to their performance. Let’s be honest, talent is great, but so is hard work, and hard work beats talent when talent doesn’t work hard. We’ve all heard the phrase. However, what happens when talent works hard? Well, that’s when you see the special players rise out of the woodwork. The real stand out players may be gifted when it comes to talent and genetics but you better bet that they work hard to compliment such gifts. If you do not have the knowledge on how to structure your training, nutrition or recovery accordingly, then learn. Or even better, find someone that knows how and trust them. They will help you reach the next level without second guessing yourself when things get tough. Dean Robertson MSc BSc (Hons) owns Elysium Personal Training in Edinburgh. He works with a vast array of clientele from elite level athletes to novice trainees looking to become stronger, fitter and healthier. He can be contacted via his Facebook at Elysium Personal Training. You can also contact him directly at elysiumpt@outlook.com or 07584123213.